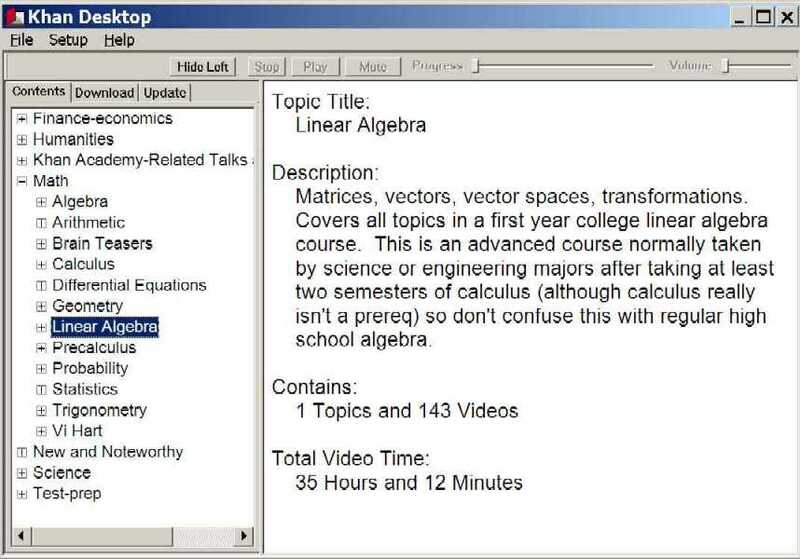 Khan Desktop is free software, produced independently from the Khan Academy (www.khanacademy.org). For desktop and laptop computers with Windows XP or later. View topics and videos from the Khan Academy website. Download videos to your computer for offline viewing. 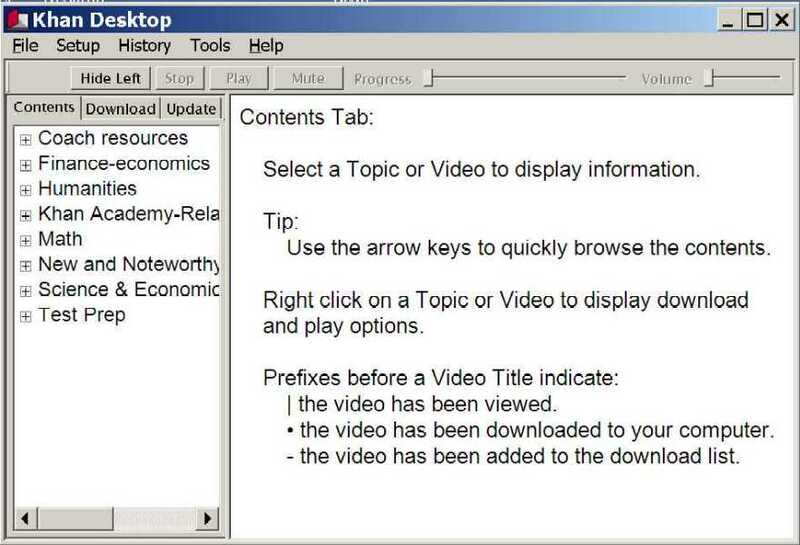 Stream videos directly from the Khan Academy servers. Update to the latest Topics and Video Play Lists from the Khan Academy website. Khan Academy accounts, exercises, subtitles and translations are not supported. This is beta software. You can help improve it by posting comments in the forum. Khan Desktop is hosted by the non-profit TuxFamily.org. GNU General Public Version 2. Creative Commons (CC by NC SA) Attribution Non-Commercial Share Alike.